The recent failure of Americans Elect—the group spent $35 million, but it still couldn’t find a candidate—has removed next November’s most prominent third-party prospect. But for those who don’t want to vote for Obama or Romney, don’t worry: You still have options. In fact, those two candidates account for under a quarter of the people running for president this election cycle. There’s the guy running on a platform of prohibition, and the one campaigning on a strict interpretation of the founding fathers. 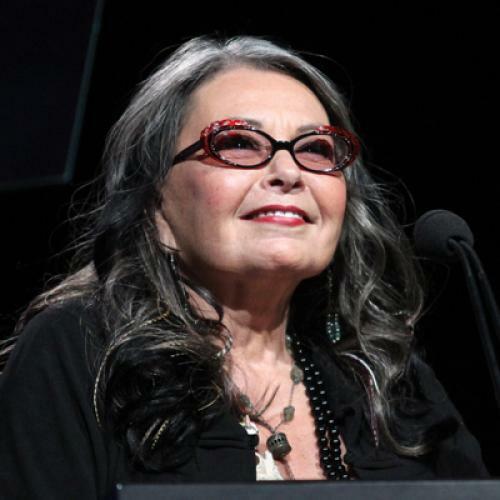 Then there’s Roseanne Barr. They may not have the financial backing of Peter Ackerman, but these third-party hopefuls are still on the ballot—at least in some states. With the 2012 nomination process still underway, the party’s official platform is still to be determined, but in the past the Green Party has taken positions to the left of the Democrats. Previous platforms have included supporting democratic reform, social justice, economic reform, and environmental sustainability. The current nomination battle is between Jill Stein, Kent Mesplay, and 1990s sitcom star Roseanne Barr. They are currently on 19 state ballots with efforts to gain ballot-access in other states. Their most successful election came in 2000, when Ralph Nader received nearly 3,000,000 votes—and earned the scorn of Democrats angry that he played spoiler to Al Gore. Driven by its slogan “minimum government, maximum freedom,” the Libertarian party believes in laissez-faire economic policy and limited government. The party’s nominee this election cycle, former New Mexico Republican Governor Gary Johnson, is pro-gay marriage and pro-drug reform. But Johnson won’t be receiving the endorsement of fellow libertarian, who, some speculate, would rather Johnson stick with the GOP and help remake the mainstream party as more libertarian. The Constitution Party is currently on the ballot in 17 states, running on a platform that they claim strictly adheres to the intentions of the founding fathers. In case you were wondering, the founding fathers’ intentions include a strong pro-life stance and the promise to withdraw funding to NATO and the UN. The party has nominated former Congressman Virgil Goode as their presidential candidate, and seeks to top the over 199,000 votes it received in the 2008 election. Formed in 2008 to support presidential candidate Alan Keyes, America’s Party—previously known as America’s Independent Party—has a conservative platform that contains the usual conservative talking points: limiting the role of government, ensuring the right to bear arms, maintaining a pro-life stance, and defining marriage as between a man and a woman. They also support repealing the Sixteenth and Seventeenth amendments. In the 2008 election, Keyes received approximately 48,000 votes appearing on ballots in thirteen states. This year’s candidate is Tom Hoefling, who served as a political director for the Keyes campaign in 2008. This year’s presidential nominee for the Socialist Party USA is Stewart Alexander, who previously ran for mayor of Los Angeles in 1989 and finished seventh. Undeterred, he was the Socialist Party’s vice-presidential nominee in 2008, winning only 6,528 votes with running mate Brian Moore. The Prohibition Party, while similar to other conservative platforms, is distinguished by its opposition to the manufacture and distribution of alcohol. (For a party that focuses on individual liberty and has a strong desire to keep the government out of gun control, health care, environmental protection, and labor negotiating, this may seem somewhat contradictory.) Alcoholics have little need to worry: The party, represented this year by candidate Jack Fellure, hasn’t managed to attract voters, earning just 653 votes in the 2008 election.